Russia boasts a venerable tradition of film comedy, originating in the pre-revolutionary period in films by Ladislas Starewitch and Yakov Protazanov, among others. Under early Soviet rule, film comedy experienced a prolonged trial-and-error period as Soviet filmmakers, executives, and censors worked to settle on what subjects and forms might be proper for a truly ‘Soviet’ comedy. Yet, comedies continued to be made, and by the 1960s and 1970s this tradition, together with an influx of new talent and a greater emphasis on box-office receipts, produced what is considered to be the golden age of Soviet film comedy. The overwhelming majority of comedies in the Rzhevsky Collection come from this period. The collection contains such all-time favorites as The Prisoner of the Caucasus (Kavkazskaia plennitsa ili novye prikliucheniia Shurika, 1966), The Diamond Arm (Brilliantovaia ruka, 1968), and Ivan Vasilievich Changes Profession (Ivan Vasil’evich meniaet professiiu, 1973), all made by one of the two giants of Soviet film comedy, Leonid Gaidai. The oeuvre of the other giant, Eldar Ryazanov, is represented by Carnival Night (Karnaval’naia noch’, 1956), Girl without an Address (Devushka bez adresa, 1957), and The Hussar’s Ballad (Gusarskaia ballada, 1962). 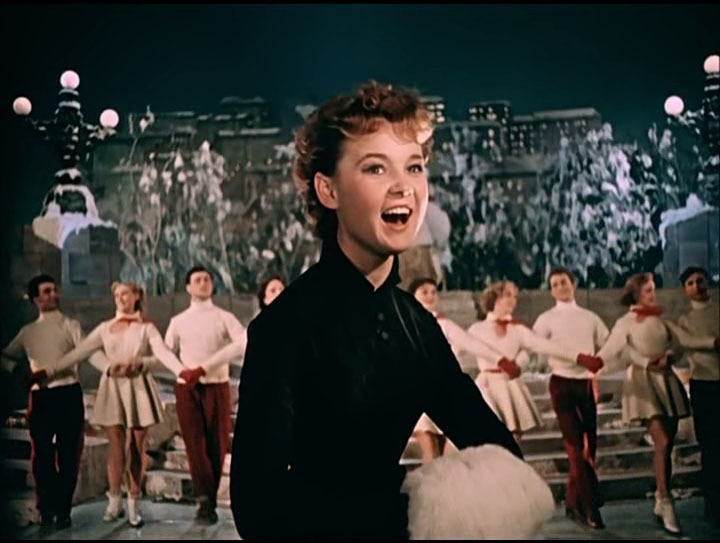 The musical comedy may be considered the Soviet equivalent of the Hollywood musical for, just as the latter, it tends to be structured by romantic plotlines developed with the help of musical numbers. However, from its inception in the 1930s, this subgenre relied more heavily on situation comedy and singing performances, as opposed to stage spectacle or song-and-dance numbers. This can be seen in titles in this collection such as Wedding in Malinovka (Svad’ba v Malinovke, 1967) and Shelmenko the Orderly (Shel’menko-denshchik, 1971), both directed by the comedy actor Andrei Tutyshkin, as well as Trembita (1968), titled after the Ukrainian national instrument featured in the film. All three have historical settings and as such are more closely associated with the theatrical operetta than with the film musical. Yet, the rarest title among the musical films is Georgiy Shengelaya’s 1973 Melodies of the Veriisky Quarter (Melodii Veriiskogo kvartala), which was made in Georgia and which comes closer to a Hollywood-style musical than any other examples. Perhaps the most original of Soviet comedy subgenres is the so-called lyrical comedy, sometimes also referred to as the sad comedy. This subgenre too can be considered a variation on its Western counterpart, the romantic comedy, but as opposed to it, is it less interested in forming a romantic couple as in exploring what is presented to be the everyday life of Soviet people. The lyrical comedy goes back to early Russian cinema but developed most robustly during the Stalin era in the films of Boris Barnet, Konstantin Yudin, Yuliy Raizman, Grigoriy Aleksandrov, and Ivan Pyr’ev, and both then and in the 1960s had been a response to calls for more serious character-centered films about the Soviet contemporary. This genre runs the gamut of themes and forms. The light romantic variants are represented in the Rzhevsky collection by Girl without an Address, The Girls (Devchata, 1961), and The Woman Cook (Striapukha, 1965), all focusing on the lives, work, and love stories of ordinary young women. At the "sadder" end of the spectrum are the male-centered The Children of Don Quixote (Deti Don-Kikhota, 1965), a touching story of fatherhood, and I Walk around Moscow (Ia shagaiu po Moskve, 1963), featuring candid location shooting by Tarkovsky’s cinematographer, Vadim Iusov. The earliest literary adaption among the Rzhevsky comedies is The Bear (Medved’, 1938, restored in 1971), a delightful chamber vaudeville based on Anton Checkov’s play. Other notable examples include an Aleksandr Ostrovsky adaptation, The Marriage of Balzaminov (Zhenit’ba Balzaminova, 1964), and The Golden Calf (Zolotoi telenok, 1968), based on the eponymous satire by Ilya Ilf and Yevgeny Petrov. The majority of the features were produced at Mosfilm and other studios in the Russian republic. Other Soviet studios represented are Georgia-Film (Melodies above), the Riga Studio (the romantic comedy Three Plus Two [Tri plius dva, 1963]), and Ukraine’s Dovzhenko Studio (the romantic comedy Zozulia with a Diploma (Zozulia s diplomom, 1971). 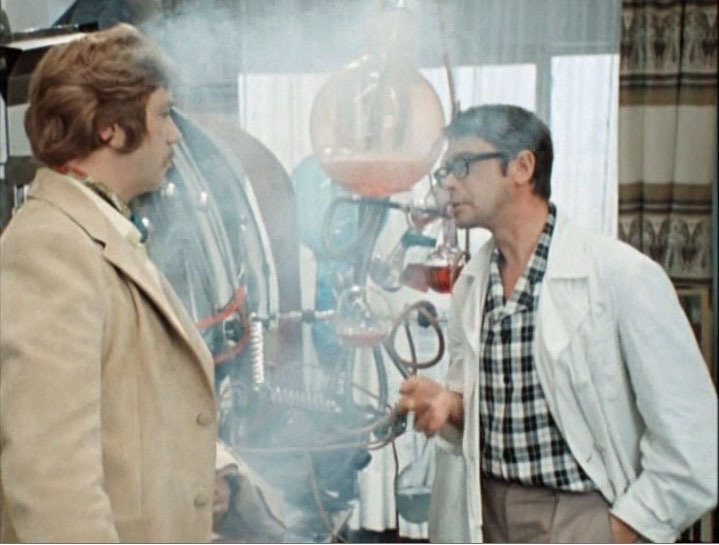 Although many of the comedies in the Rzhevsky collection require substantial cultural knowledge to be fully appreciated, they nevertheless represent an understudied and complex example of an extraordinarily popular cultural phenomenon and an unconventional national variation on a well-established international film genre.